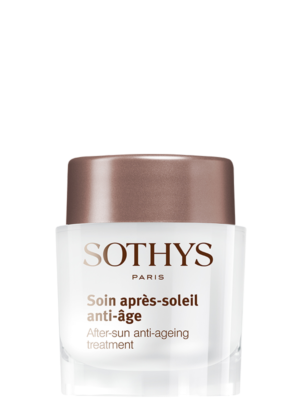 This fluid-emulsion provides high protection against solar radiation for the face and most sensitive areas. 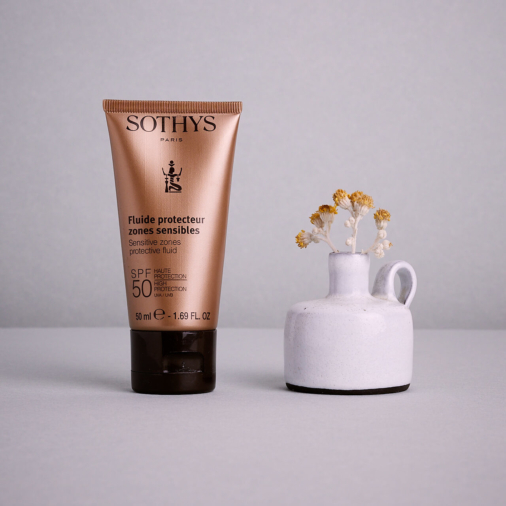 SPF50 Sensitive Zones Protective Fluid protects against UVA, UVB and infrared radiation and is fragrance-free. Celligent™ - A plant-based ingredient, Celligent is added to protect epidermal stem cells from free radicals and backup natural DNA defence process. Skin cell functions will be optimised, preserving the skin’s youth. Calcified algae - Rich in minerals, is used to fight against infrared radiation. Sunflower extract acts as an anti-oxidant to reduce the spread of free radicals generated by UVA, UVB and IR. The extract strengthens the skin’s natural protection and minimises the appearance of sunburn cells. Tests also show that the extract reduces the number of sunburn cells up to 54 per cent. 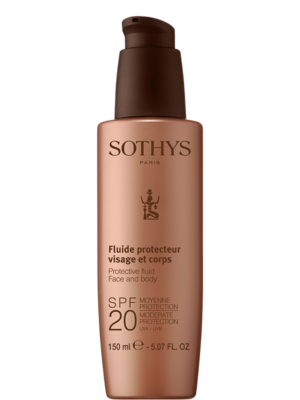 Finally, the SPF50 Sensitive Zone Protective Fluid employs Galenic formulation. This allows the product to penetrate quickly into the skin, leaving you with non-sticky and non-dehydrated touch. Apply generously to the face and sensitive zones before sun exposure. Avoid the eye contour. Repeat the application frequently.